How much is enough? You never know, including when it comes to collecting backlinks to your site and analyzing potentially useful and profitable sources. Meet the newest update to our Backlink Analytics service. 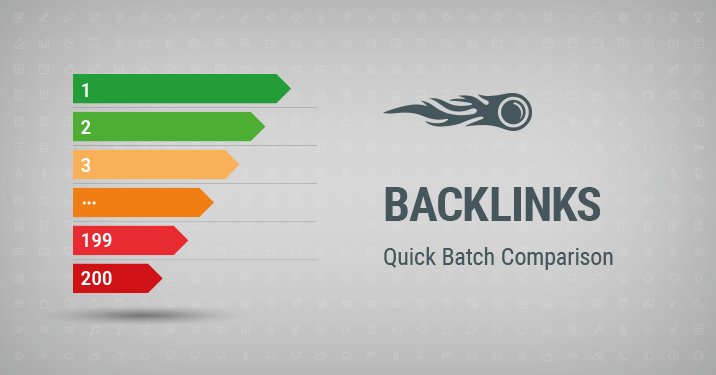 Now you’re able to check out crucial backlinks metrics for up to 200 domains, whereas earlier you could only compare 6 domains. This is an extremely useful feature, in case you have a sizable number of competitors to analyze, or you need to navigate a great deal of domains to figure out which of them are worth working with. Using our backlinks checker is an effective way to improve your link building strategy and stay ahead of your competitors. Stay tuned and keep sending your feedback to [email protected]. Thank you for making SEMrush better!